Guys, meet the best cheesecake in the world. Cheesecake, meet the world. Have I had every cheesecake in the world to know that this is the best? Nope, but I’m that confident. One. This cheesecake has the perfect texture. It’s creamy and dense, but not overly so. When you prepare the batter, make sure all the ingredients and especially the cream cheese are at room temperature. This will help give you a smooth velvety texture. What’s the secret? Consistency, consistency, and a bit of consistency with a side of consistency. If you set the oven to 350 degrees F, the oven will strive to keep that as the average temperature while you have it set to that. The problem with any average is that you spend almost all of the cooking time either above or below the temperature you set. The secret to how ovens work is that they control their temperature with a pair of temperature thresholds. These thresholds mark the temperature where the heat is turned on, and where it turns off again. For example, your 350 degrees F oven will turn the heat on full blast when the oven cools to around 340 degrees F and will turn it off again when it hits 360 degrees F. This almost constant changing of temperature wreaks havoc on the delicate structure of your cheesecake. The fix is easy. Provide something that has an built in maximum temperature and lots of substance to hold heat. This magical ingredient is none other than water. By putting a bunch of water in the oven with your cheesecake in it you have something that helps even out the temperature when your oven it turns on and off over and over. This results in a much smaller change as far as the cheesecake is concerned which in turn means that delicate structure we mentioned before stays delicate. This secret comes with a couple of rules too. It means you definitely can’t open the oven door while it’s baking (that really goes for baking anything). No amount of water will be able to keep your oven the right temperature when one whole side of the hot box goes missing. It also means that the cooling process is an important step to a flawless cheesecake. Once the cheesecake is “done” baking (i.e. after the 50 to 60 minutes in the hot oven), turn off the oven, open the oven door a little, and walk away for a whole hour. Keep in mind that when a cheesecake is done baking the center still looks wobbly. Don’t panic. It’ll set up as it cools and there is very little in a cheesecake that can make anyone sick so there is no need to dry it out by over baking it. When you are finally ready to move the cheesecake from the oven, remove it from the water and be super gentle moving it the counter. Make sure you put it on a wire rack because it’s still vulnerable to cracking and the counter can end up pulling any left over heat out of it too quickly. Lastly, make sure the cheesecake is at room temperature before moving it to the fridge. I know this process may sound intense but it’s not complicated and you don’t have to be babysitting it. 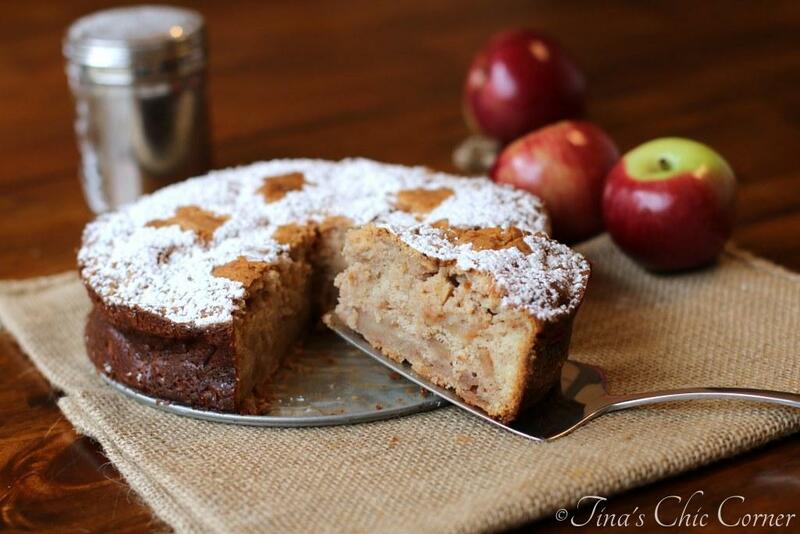 With a little patience and a little luck you will have made a winner of a dessert. To prevent therapy sessions later, please remember that if you end up with a crack or two, shake it off. It’ll be delicious either way. Four. Oooh, the crust! It’s superb. I don’t care what anyone says, a cheesecake must have a crust! If you skip it you’re just being lazy, it’s really not that hard. This one has a nice thick one. Butter and graham were designed to be mashed together into delicious crust. One bite of this bad boy and you’ll agree. Isn’t this cheesecake super dreamy? Have I convinced you it’s the best? Well, I’ve got more reasons! Five. The taste… oh, it just tastes so darn delicious. The glorious cream cheesy-ness works in harmony with the chocolate hazelnut spread and graham cracker crust. I have to give credit to my husband. He sat up in bed and pretty much blurted out his random idea about how to make an awesome cheesecake even better. His idea was to add the layer of chocolate nutty goodness in between the cheesecake and the crust. He admitted that his idea didn’t involve rocket science, but was firm on the concept that the chocolate be separate from the cheesecake and not all mixed in. Specifically he wasn’t trying to make a chocolate hazelnut flavored cheesecake mixture because he likes the flavor of simple elegant cheesecake. He wanted the chocolate to be a nice hint of flavor that could be separately enjoyed in each bite without the flavors clouding each other up. I agreed with this plan and the next thing we knew it was time to go shopping to make it happen. Can I cut you a slice… or two? Add 1/3 cup of sugar and drizzle in the melted butter. Blend until all of the ingredients are combined. Press the graham cracker crumb mixture into the bottom of the prepared pan and about 1 inch up the sides. I used a 1/2 cup measuring cup to help pack the crumbs down firmly. 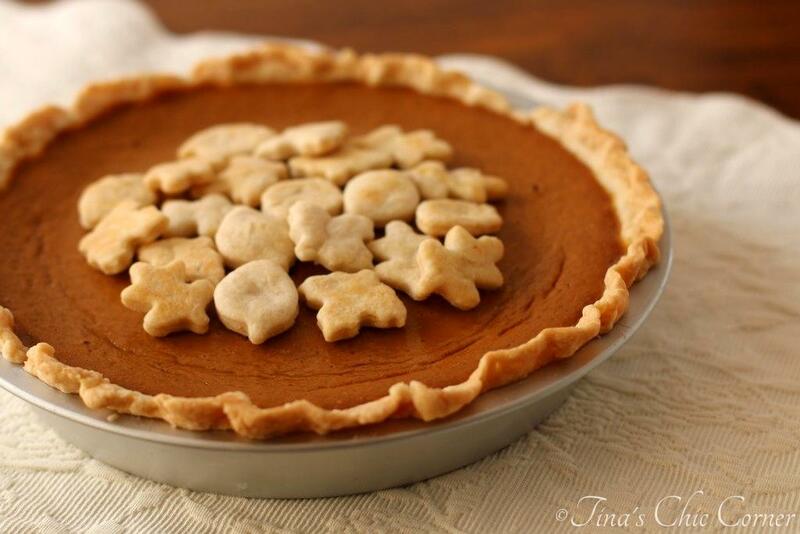 Bake the crust in the preheated oven for 7 to 8 minutes. While your crust is in the freezer, in a large bowl, beat the cream cheese and 1 cup of sugar until the mixture is smooth and creamy. (About 3 minutes on medium speed.) Make sure that the cream cheese is at room temperature. Once the chocolate hazelnut spread has hardened in the crust, take it out of the freezer and pour the cream cheese filling on top of the chocolate hazelnut layer. Bake it for 50 to 60 minutes in the preheated oven. When the cheesecake is done it will have a 2 to 3 inch wobbly area in the center of the cake. Don’t worry, it will set as it cools. Take the cheesecake out of the oven, remove it from the water bath, and let it cool to room temperature on a wire rack on the counter. Microwave about 1/4 cup of chocolate hazelnut spread for 15 to 30 seconds or until it’s at a consistency where you can drizzle it over the cheesecake. Here are some other dreamy desserts. Craving a slice of this cheesecake right now, it looks so delicious and I am loving the combination of chocolate and hazelnut! This looks amazing! I loooove chocolate hazelnut spreads but I’ve never had a nutella- or otherwise chocolate/hazelnut cheesecake! Yum! Chocolate hazelnut is one delicious sounding flavor! This is such a pretty cheesecake! I don’t think I’ve made cheesecake in over a year! Oh my! This looks lovely! And I love that it’s just the right height (I loved that!)! 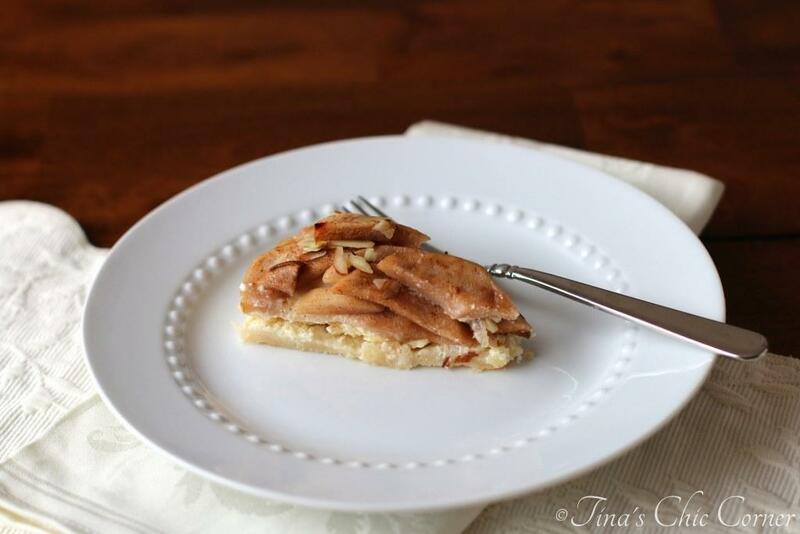 This is a perfect holiday dessert! This cheesecake looks gorgeous, Tina! I’ve never had a hazelnut kind before, so I’m loving this version. Sounds perfect! 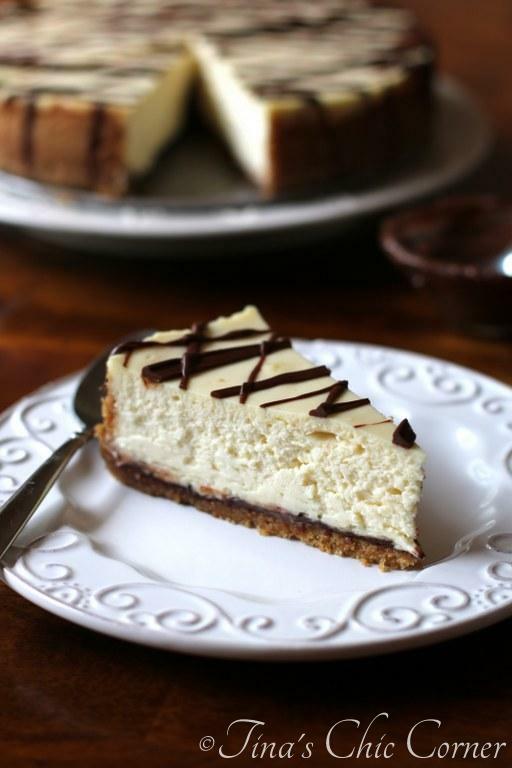 This cheesecake looks like the best cheesecake ever! I love that chocolate layer on top of the crust, what a great idea! 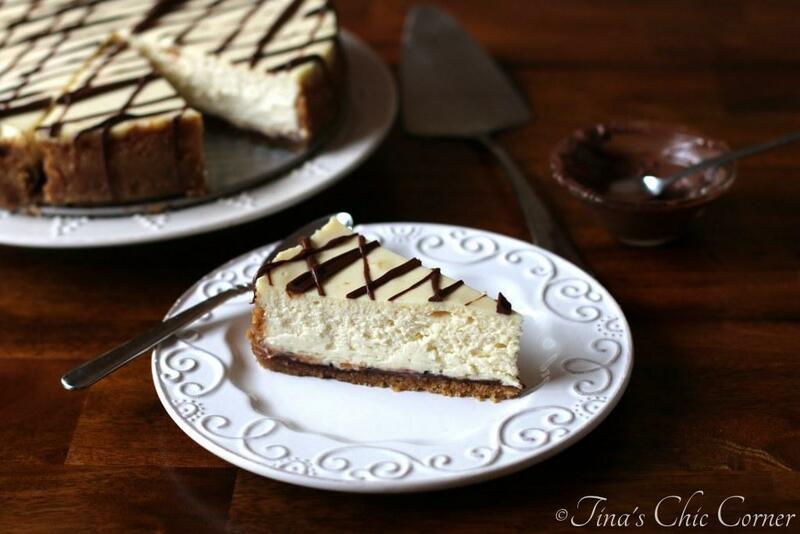 Love these cheesecake tips and reminders Tina! When I first started baking cheesecakes I had to shake it off, a lot! I was impatient and wanted to enjoy that cheesecake sooner than later… then I learned that one has to be very patient for a good, no crack, cheese cake! Yours turned out lovely my dear and what a delicious recipe! Thank you for sharing, Tina!! I think its time for a cheesecake! Ooh, you can definitely cut me a slice or three of this, Tina! Thanks so much for all the tips. I actually made some little cheesecakes yesterday and they turned out great, but I was nervous the whole time they’d be a disaster. It’s good to have these few fool proof tips (like the water and the open oven door). Like your hubby’s chocolate layer idea, too! I’m always nervous making cheesecakes too! Wow Tina! 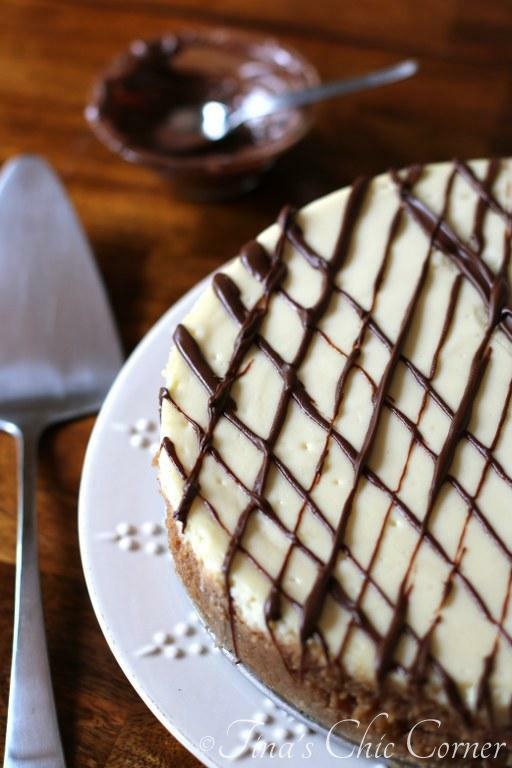 What a beautiful cheesecake – its perfection on a plate! Haha…I’ll have to tell him that… he’ll love it! You can cut me about FIVE slices of this. I’ll be sick, but so worth it! LOL Looks perfect, Tina. This looks so delicious! Wow. Pinning this! Yum! I’m all about this cheesecake, and I agree with your husband’s idea for adding a layer of the chocolate hazelnut spread between the crust and the cheesecake. Great tips for making cheesecake. I haven’t made one in years, but you’re right…it requires consistency and patience! I’m so glad you liked the tips. 🙂 Definitely a great dessert to present to guests! Tina, I think you rock! Your recipes are amazing. 🙂 I just sent this down to the chefs in the kitchen and asked the pastry gal to make for next weeks morning tea. Yarm. First off, this cheesecake looks absolutely perfect. The nutella drizzle – yum! This looks divine!!!! Happy New Year! Thank you, kindly. 🙂 Have a happy new year! !